An insomniac, tossing and turning in her bed, is accompanied by a singing cellist and a strange presence as she searches for sleep through an endless night. 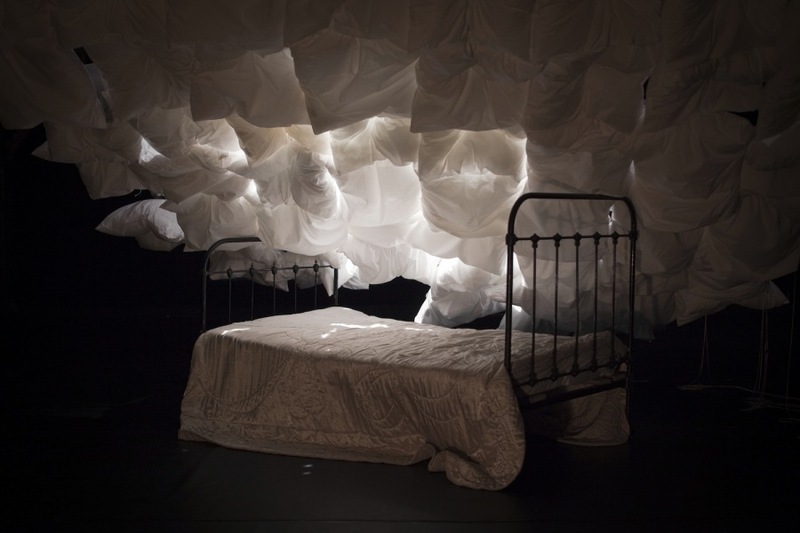 Using a potent mixture of live music, illusion, puppetry and quirky object manipulation, L’Insomnante takes you on a surreal journey through her night-time adventures. A sister project, Dormez-vous? a specially devised multi-sensory experience for children on the autistic spectrum, will take place at two London schools in October 2014. Claire is an insomniac. 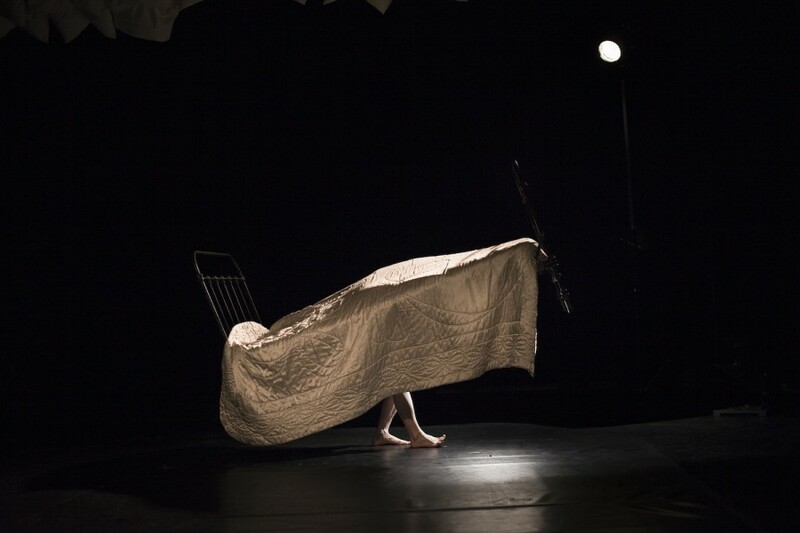 In between sleepless nights she has had playful experiences with Gropu O and Mozkai Theatre in Grenoble, Teatr Box Office in Warsaw, Company Monsieur Madame in Toulouse and Company Lamèreboitel in Marseille. 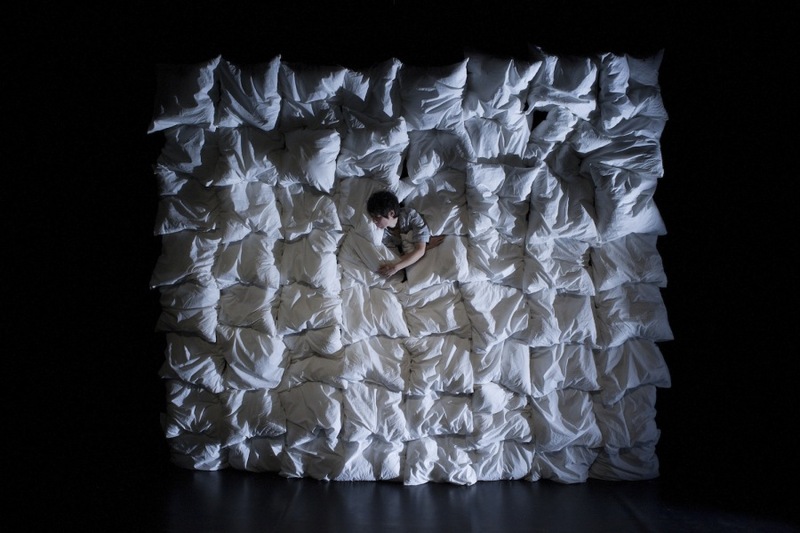 She tried to get rid of her fear of sleep by creating L’Insomnante but it’s not that easy. She is the insomniac on stage and the sleeper in the pictures. Camille is hiding in the ceiling during L’Insomnante, he drops objects and plays with the sounds of the night. He co-wrote the piece and helped design the staging. Catherine plays cello and sings with the company Papier de Verre. She is the cellist on stage, creating the soundscape for the show. Presented by Crying Out Loud and Si Par Hasard with the support of Institut Francais du Royaume-Uni. Co-produced with la Ville de Marseille, Ministère de la Culture – la Région PACA et la DRAC PACA.